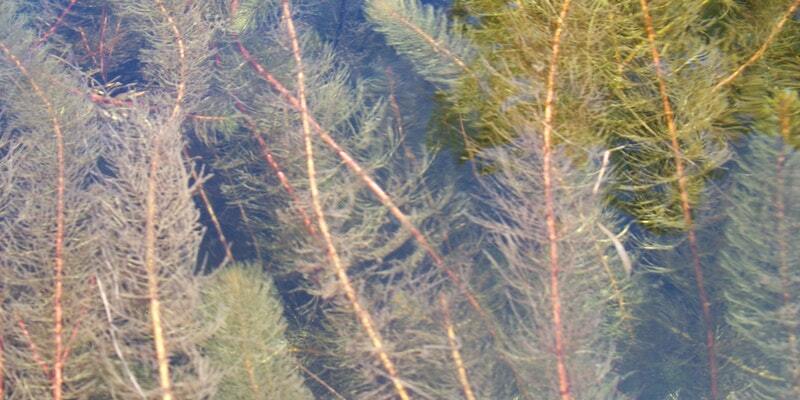 Have you seen a new aquatic plant and aren’t sure what it is? Do you care about your local river or stream? Do you want to do more to prevent invasive species infestations? You can help stop infestations in their tracks when you become a River Runner™. Since 2009, the New Hampshire Rivers Council River Runners have been the early detection network for Didymo, Eurasian Milfoil, and other invasive species in our rivers and streams. Training is fun and free and monitoring is easy—just be observant when paddling, swimming, and fishing in your favorite river and then report what you find. You’ll meet new friends and learn valuable indentification skills. If you have found an aquatic plant and want to know what it is, you can bring a sample to a River Runners workshop near you. Preserve the sample by placing it in a ziplock bag with a wet paper towel (don’t fill the bag with water) and store it in the refrigerator. Make a note of where the specimen was found and the date of its collection. Do not allow fragments of the plant to spread in the waterbody. These workshops are free thanks to support from generous gifts from New Hampshire Rivers Council members like you. There is no charge to attend but space is limited so registration is required. Please click here to register. Prospective hosts: please contact the New Hampshire Rivers Council at 603.228.6472 to arrange a workshop near you.